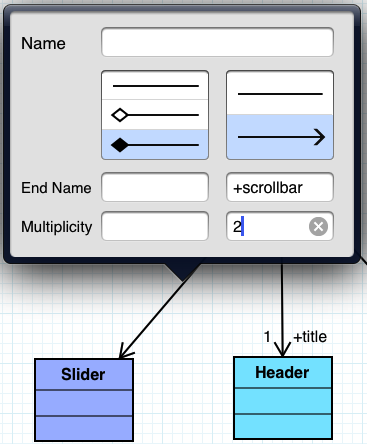 We have an UML modeling app called “Astah UML Pad” for iPad for free. We receive positive feedback and questions from users every day and one of the most frequently asked questions is “How do I create aggregations/compositions?”. 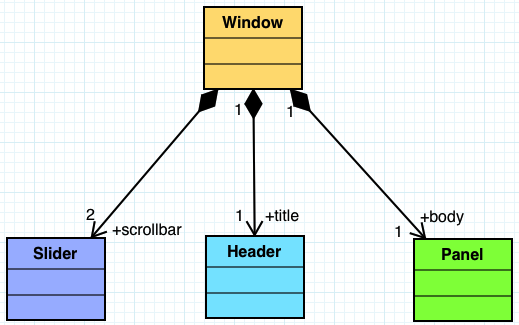 So I will show you how to create them here using a sample diagram. 1. Create four classes first, then create one association from [Window] to [Slider]. 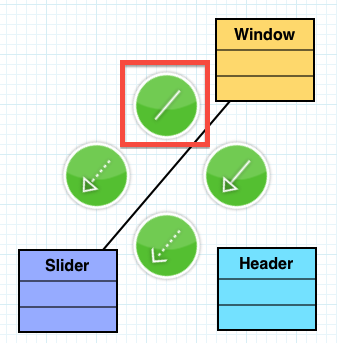 Tap the [Window] class so that 4 icons appear. 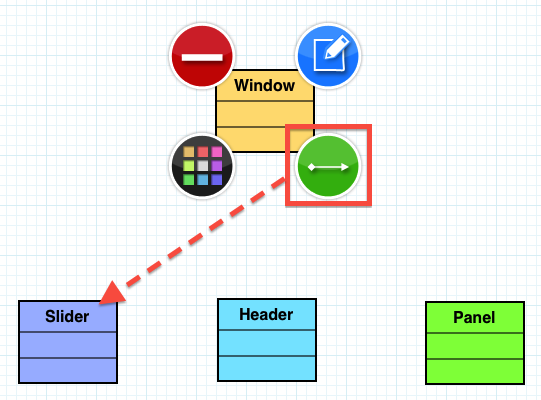 Tap the green icon and then drag it to the [Slider] class to create an association. 2. As the association is created, 4 green icons should appear for you to specify the association types. Select the top left one – association (One in red box in the image below). 3. Tap the association line you just created. 3 icons should appear, tap the blue one to open a box where you can set the information of the association. 4. Select the composition here and set the other information on this box, tap out side of the box when completed. 5. Repeat the same for the other models, and the completed diagram should appear like below. If you don’t have an Astah Professional edition, you can try it out for 50 days for free! This entry was posted in Class Diagram, Edit existing diagram and tagged iPad, UMLPad. Bookmark the permalink.